FintekNews’ sister publication Financial Advisor is reporting that “after years of failed attempts, a bill that would provide banks and other financial institutions with a safe harbor from sanctions for doing business with licensed marijuana businesses will be marked up by the House Financial Services Committee on March 26.” In light of the potential progress of this highly volatile topic, which we confess we have very mixed feelings about, we thought it was worthwhile to revisit the post below originally published on 2/11/19 outlining a regtech solution for bankers to this complex issue. Now if the legislators can just get it right this time! As US community banks and credit unions fight to grow their ever-important deposit and customer base, there’s a significant opportunity that many CEOs are realizing: the $10+ billion legal cannabis industry. With varying degrees of legalization in more than 30 states, the cannabis industry is one of the fastest growing market segments in the US – and is almost entirely unbanked. Legal cannabis businesses struggle to find long term banking partners, and the obstacles stem primarily from cannabis remaining illegal at the federal level. There are inherent questions when it comes to cannabis and banking, such as whether the specific cannabis business itself is legal or if the business’ operations comply with a state’s laws and regulations. 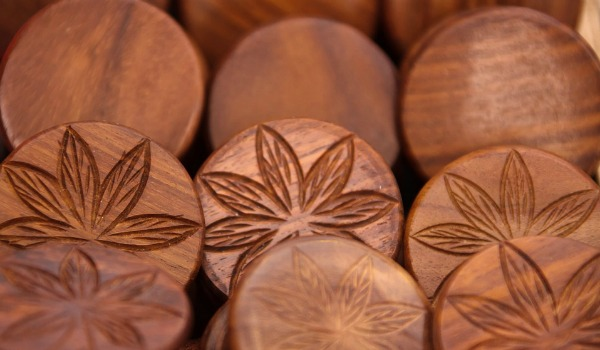 Since financial institutions fall under the federal regulatory oversight, this dichotomy between state and federal law creates challenges for those institutions wanting to serve legal cannabis businesses. However, those risks can be mitigated to create the positive impact many are starting to see across both the banking and the cannabis industries. When we founded our regulatory technology company, Green Check Verified, we did so based on the understanding that cannabis businesses need access to basic banking services, and community banks and credit unions need access to low cost deposit dollars in order to remain competitive. We continually see on a firsthand basis what some cannabis businesses are doing to try to manage their businesses on an entirely cash-based model, and the additional costs, risks, and security implications this causes. These are locally owned and operated businesses being forced to operate in the “shadows,” despite being legal and compliant according to their state’s guidelines. Likewise, many banks and credit unions are highly motivated to provide all businesses in their community with access to financial services – especially if that means tapping into an underserved market that creates a competitive niche for the financial institution. The match in needs and resources could not be more evident. Both sides want to be able to work together, but they simply don’t know how to overcome the aforementioned challenges in order to do so without running afoul of regulatory requirements. At the root of these challenges is a need for visibility, documentation, and the ability to verify that business and account transactions comply with state and federal guidelines – from both sides. These challenges are compounded by the fact that the cannabis regulatory landscape is continuously evolving, and the visibility and oversight needed must be in real-time. Solving for these challenges may seem like a daunting task and that’s because it is. 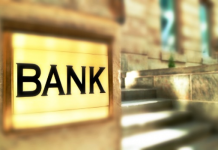 While the regulatory requirements are known, the time, cost, and effort needed to manually develop and maintain compliant banking partnerships is prohibitive to most community financial institutions. 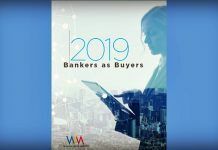 This creates a perfect opportunity to leverage technology to standardize and automate the processes of collecting, verifying, and acting upon the information needed to support these banking relationships. When properly designed, technology solutions can deliver far greater oversight than manual efforts alone, and these solutions do so at a fraction of the cost. We’re encouraged by the market activity Green Check Verified has seen in the last 12 months, and we look forward to continue supporting these two industries by providing the regulatory and technology infrastructure needed to connect them. Bio: Green Check Verified is a compliance platform that makes it easy for cannabis businesses to monitor and share their compliance history, so that they can foster stable, productive banking partnerships. Mike Kennedy is Green Check’s Director of Product & Strategy. What’s Hot In Banking? Here Are 5 Things.